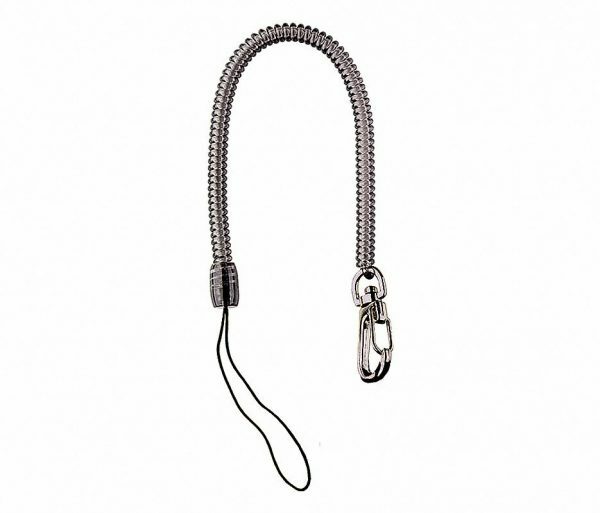 Ergonomic Handle includes tape splitter and lanyard hole. 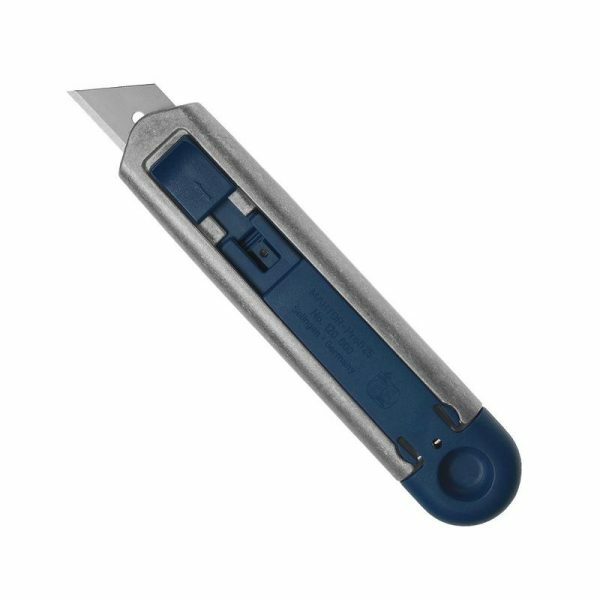 The Crewsafe X-traSafe Utility Knife is an revolutionary safety cutter hellbent on preventing accidental laceration and minimizing contamination. 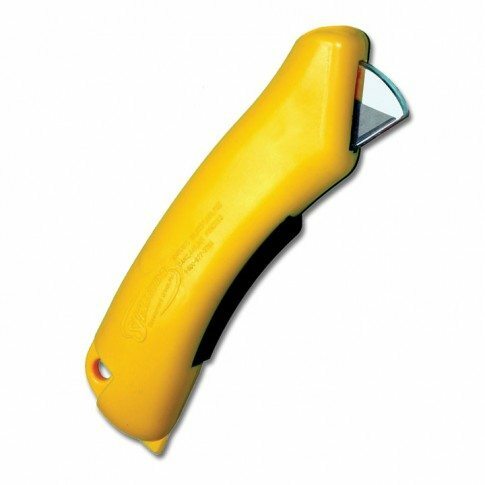 This FDA compliant disposable safety knife is ideal for a plethora of applications and viable across a vast number of industries. 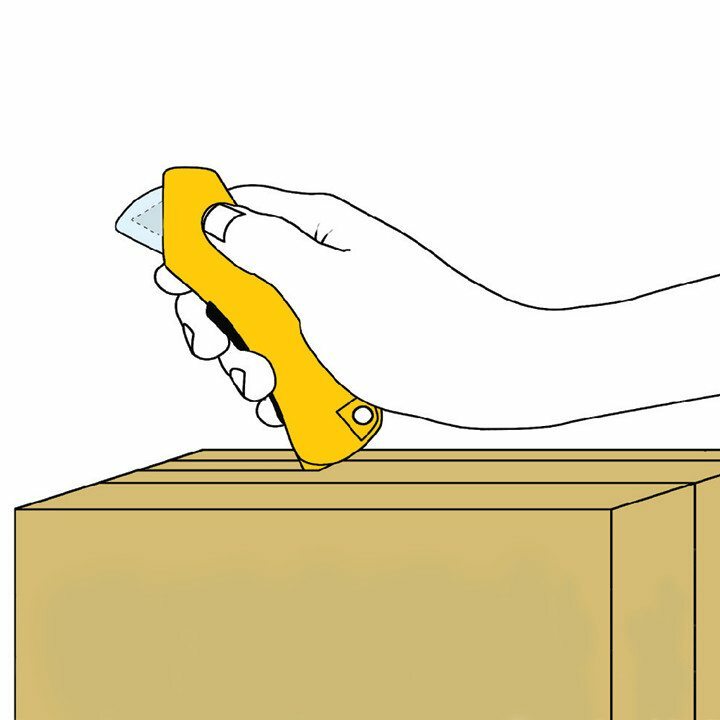 Why is this boxcutter so revolutionary? First of all, this knife is disposable; that means you won’t have any loose razor blades cluttering the workplace and creating unnecessary risks to people and products alike. 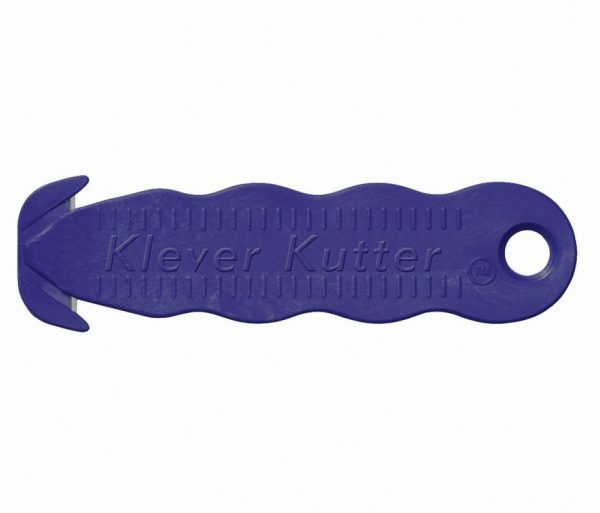 After the 100% stainless steel blade begins to dull, simply recycle and grab a new one! 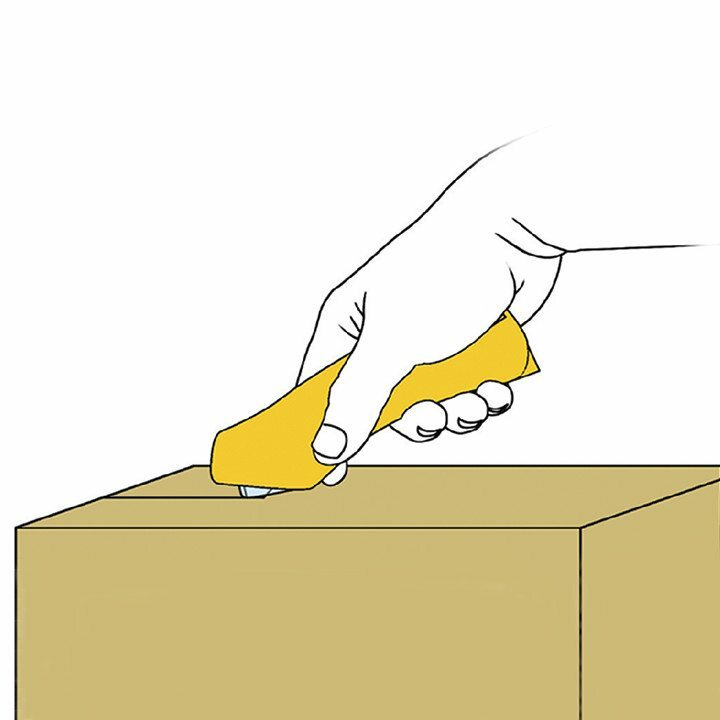 Another fantastic benefit of the Crewsafe XSCU Disposable Safety Knife is the unique blade guard system. 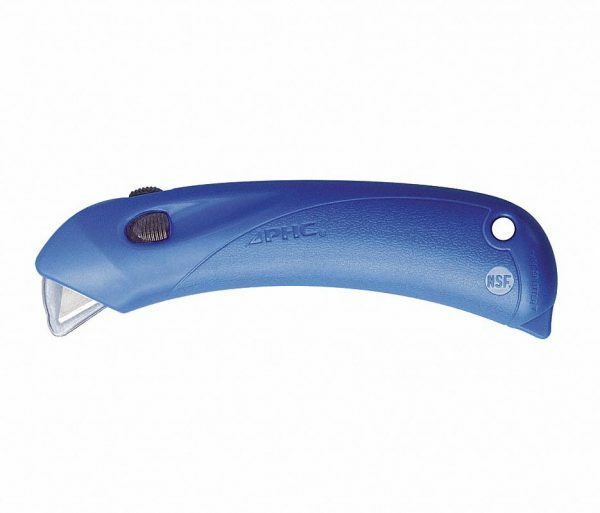 The knife is equipped with a clear plastic guard which automatically snaps shut and locks over the blade after each cut. This means, unless this knife is cutting; the blade is NEVER exposed. The blade guard remains locked until the trigger on the handle is pulled. The non-fatiguing and lightweight handle of the XSCU utility knife is another remarkable selling point to this knife. 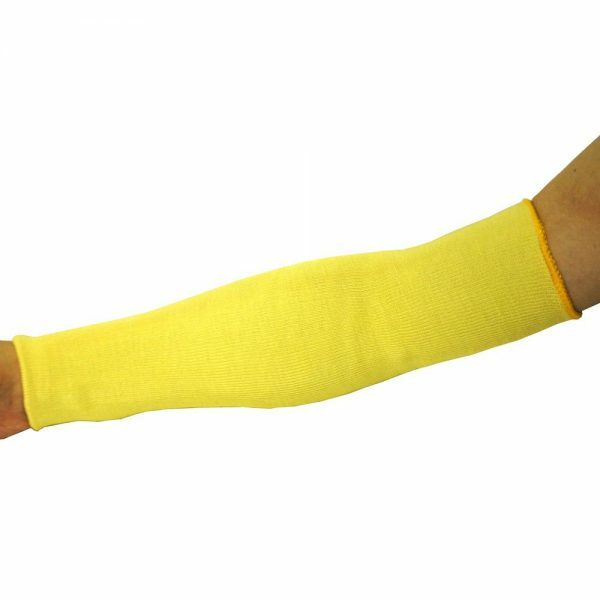 Users will find it easy to make cut after cut without cramps or discomfort. 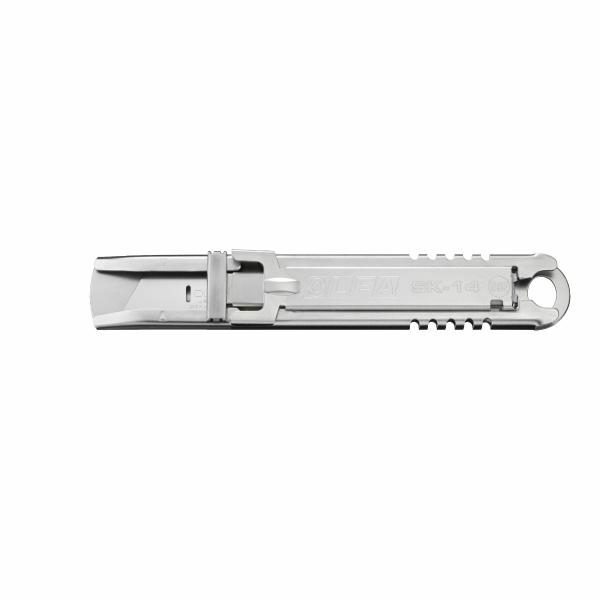 The XCSU is preloaded with a 100% stainless steel blade that is resistant to both corrosion and breakage. The knife is both FDA compliant and built from food safe materials. Ideal for restaurants, food processors and large warehouses. To begin cutting, press the trigger to ‘loosen’ the guard. Continue to hold during the cut and release after the cut is made. 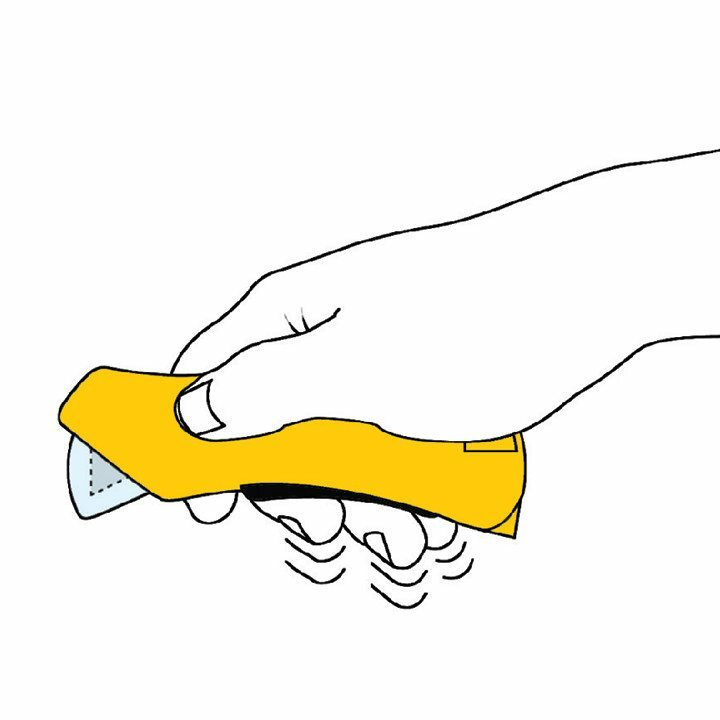 The “Blade Guard System” ensures the blade is never left exposed. After the blade loses contact with its cutting surface, the guard will snap shut and remain locked until the trigger is pressed again. 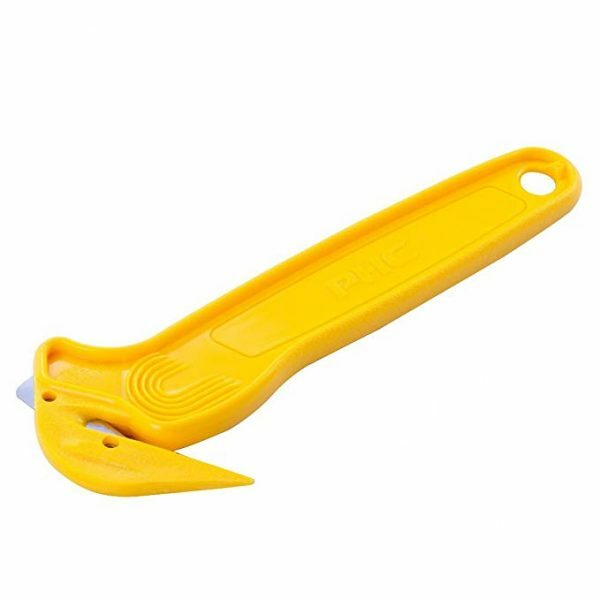 Not only is the handle lightweight and easy to handle, but also equipped with a lanyard hole and convenient tape splitter.